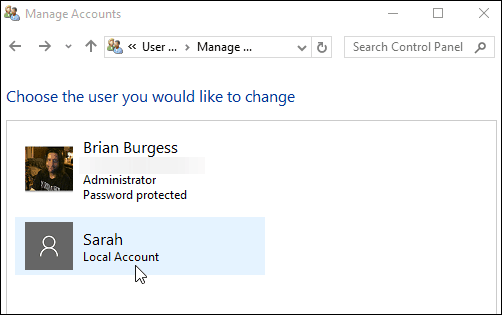 There might come a time when you want to rename a user with a local account on your shared Windows 10 PC. Here’s a look at doing it step-by-step. 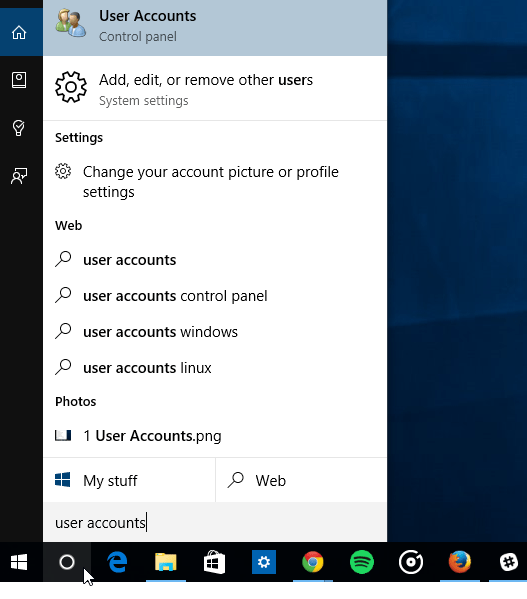 There might come a time when you want to rename a user with a local account on your shared Windows 10 PC. 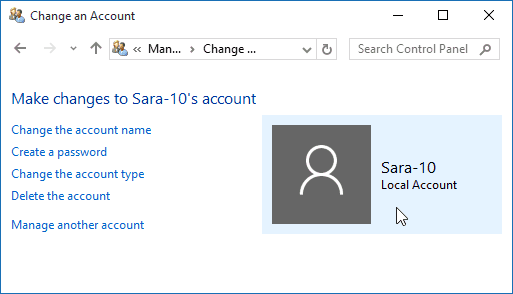 We recently showed you how to create a local user account in Windows 10, and here’s a look at how you can rename it. Note: You will need to have an administrator account on the PC to manage local user accounts. In the search box type: user accounts and hit Enter or select the User Accounts option from the results at the tops of the list. 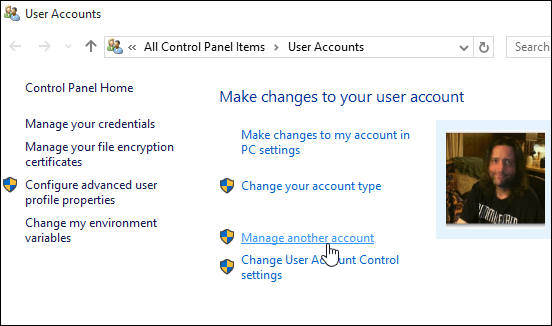 That opens up the User Accounts section in the classic Control Panel and from there select Manage another account. Next, choose the user account you want to rename. In the next section, you have various options you can use to manage the account. In this case, you want to select the first choice — Change the account name. Now put in the new name you want to give the account and then click the Change Name button. That’s all there is to it! The account is renamed, and you’ll see that reflected in the Manage other accounts section as well as the login screen. Microsoft is starting to get away from Control Panel and move a lot of the PC configuration to the new Settings app. But Control Panel is still there for now. That might change over time as Windows 10 matures. If that happens, we’ll update this process. If you recently upgraded Windows 7 to Windows 10 and are new to the OS and want to learn more about using it, make sure to check out our complete archive of Windows 10 articles. And for more discussion and help with Microsoft’s new operating system, head over to the free Windows 10 Forums. Hi, is it possible to keep Computer name and local user name are same in Windows 10. 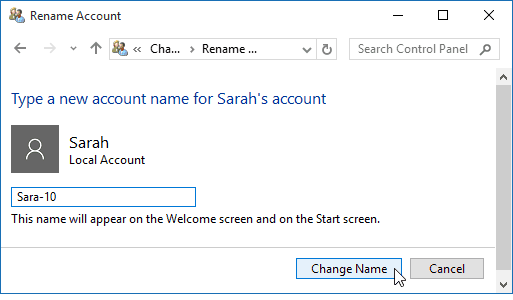 This still doesn’t change the underlying user name in Windows 10. For example, if you then want to create a new local account named “Sarah”, Windows 10 won’t allow it because there is still a user with that name. I looked into using net user in a Cmd prompt, but there is no rename option. Any ideas for how to get around this? @Loren – Yup. Not only that but you can’t use your new username when sharing directories, it still uses the old one. I can understand Windows wanting to keep the underlying directory and registry paths working, but think it should add an alias to the new name for Sharing Permissions purposes. A good way of showing how skin deep this change is, is to change a username to “Harold”, and then create another username called Harold. Windows lets you do this without problem, as the first change didn’t really change anything. I am an admin on my computer. I do not find find “Change the account name” when I get here: Control Panel\User Accounts\User Accounts\Manage Accounts\Change an Account. Please assist. I’m in the same situation as Joe. Hope someone can help! Maybe we can’t change our name (inclusive as administrator) because we are are using a Microsoft acccount to login in Windows 10. In my case, my name has an accent. :( .. but I have doubt to edit it! Same problem. Maybe I cannot rename administrator? Same problem here. So annoying since I use Apple but have to use W10 now for work. So many directions online are WRONG. Ugh. I want to rename my Windows 10 administrator, but I saw a lot of websites saying you are not allowed to change it. I followed the steps above, but there’s no control panel like it showed in the picture, still can’t change it :S Does anyone have solution? Yes, in the start menu go down to Windows System > Control Panel. This will open the old Control Panel where you can go in an change your name. Hi Guys, I figured it out!! This has been a pain in my you know what. Hope it helps! Hit enter and it will open the classic look for changing the username. Now, this is only to change the username. I wasn’t interested in changing folders, etc. This is basically how I changed my log-in name. Go to “Settings”, click “Accounts”, and then scroll down until you find “Sign in with local account instead”, or something similar like that. I used the following commands from this link to resolve this issue. 2. enter netplwiz and hit enter. 3. highlight your user account and choose properties. 4. change the username field from current name to newname. 5. hit ok and logout and log back in as new username.